Debian vs Ubuntu: Which One is Best for You? After Linux Mint vs Ubuntu comparison article, Today I am here in front of you with another interesting comparison review on Debian vs Ubuntu. 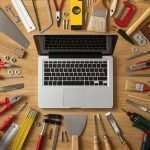 I hope this Linux distros comparison article will help you to choose the best one for your working environment. Linux Debian and Ubuntu are the most dominant distros out there in the market. There are roughly 290 Linux distro variations available, out of that 131 are derived from Debian and 58 are directly developed from Ubuntu code. So now you understand that how much influence these two distros have in the Linux community. Ubuntu is developed based on Debian testing snapshot release. So they have many things in common, but there are still lots of differences. 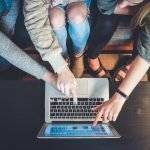 In this article, I am going to cover both the similarities and differences so that you can compare them to get the best one. 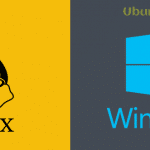 Before jumping into the core comparison, I would like to say that Linux Debian and Ubuntu are the best alternatives to Microsoft’s Windows and Apple’s OS X. By the way, If you want to shift from any other OS, then you may like to visit our list of Best Linux Distributions and check out an editorial list of Best Linux Software. Debian is one of the original Linux distros developed in 1993 and Ubuntu is a fork of Debian, and the first release of Ubuntu was in 2004. Every six month, Debian releases a testing branch, and Ubuntu adopts that latest packages from the Debian unstable branch. As Ubuntu uses the same packaging management system, it merges Ubuntu specific customizations and adds more features and patches into the release cycle when necessary. Whatever changes Ubuntu does with its releases, they also push changes back to Debian base code. 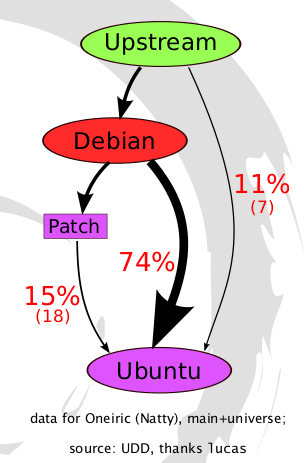 Release cycle brings a noticeable difference in between Debian and Ubuntu. Debian follows three different releases namely – stable, testing and unstable. Its stable cycle is rock solid stable with reasonably old packages which is not a problem for a server but awful for desktop usages. Debian testing branch is more updated and fluid. The developers actively engineer the next stable cycle on testing branch. Debian testing branch is not unstable instead it looks like using a regular point release. And at last Debian has its unstable version called Sid. In this release cycle, Debian tests all the latest repositories, and that’s why this release is not recommended as a daily driver. Unlike Debian, Ubuntu follows a strict release schedule. It also provides a regular point release in every six months and an LTS – Long Term Support release in after two years. Ubuntu starts making its regular point release from the testing branch of Debian and LTS is supported for five years. Debian supports a lot of architecture including amd64, i386, ia64, arm64, mipsel, arm, ppc64, etc. On the other hand, Ubuntu also supports multiple architectures including amd64, arm, and ppc64. Both Debian and Ubuntu provides a GUI for its installation. But the Debian installer is a bit messier than Ubuntu’s one. Debian uses Debian-installer based on nCurses and Ubuntu uses Ubiquity based on parts of Debian-installer. In short, Debian installer offers much more configuration but manual which is not suitable for beginners, on the contrary, the Ubuntu installer is much more user-friendly but does not give more options. Ubuntu and Debian both use the same apt software packaging management system but provides a different set of software repo. Debian is more like promoting freedom of choosing free software; thus it does not include any proprietary software by default. You can always install that paid version, but you have to enable it manually. Ubuntu focuses on usability, and that makes it include all the software including free, paid, open source, closed source, etc. Ubuntu also introduced a universal package management system called Snap. It will be used across the distros and thus prevent more distros based software fragmentations. Debian users now can also use Snap in their repos. You may want to know whether the software repo is compatible or not in between Debian and Ubuntu. The answer is both yes and no. Most of the time the software repositories works well in both the system with little changes or no changes at all. But many times you may need to edit the deb packages for satisfying the dependencies. Moreover, Ubuntu has its packaging system called PPA through Launchpad that indeed doesn’t work on Debian. Canonical has developed a universal package management system called Snap and it also available in Debian repo. Debian and Ubuntu are both fundamentally fast in regarding performance. As Debian comes bare minimum does not bundled or prepacked with additional software and features, this makes it super fast and lightweight than Ubuntu. Ubuntu is also faster than any other dominant OS like Windows or MacOS. But as we know that Ubuntu adds some unique and additional distro specific features and software into the core, those added functionality has some effects on its performance as well. Ubuntu acts faster, smoother and quicker on all the latest computing machine. If we talk about the targeted user group, then Ubuntu is more suitable for the beginners and Debian is an excellent choice for the expert. Ubuntu offers an easy to go just after installation, but Debian needs some manual configuration to go with. Debian is a lightweight Linux distro. If you have an old machine, then it’s better to go with Debian than Ubuntu. There are many choices when the question comes about the desktop environment for both Debian and Ubuntu. Debian comes with a lot of options regarding choosing a desktop environment except Unity where users can choose the best one, but Ubuntu comes with a pre-packed flavor like Gnome, KDE, Xfce, Budgie, etc. Selecting a desktop environment is pre-made for you, and that works out of the box for the newbie. Debian focuses on including only free software, and Ubuntu consists of both free and proprietary applications. After installing any OS, you may need many utility software for your project, and all the time free software cannot provide enough functionality that the project requires. So you may need to grab some paid or proprietary software. In this situation, Ubuntu wins the crown as its software center comes with many useful free and proprietary application. You can still get non-free software in Debian, but it’s not that easy as on Ubuntu. Community support is one of the deciding and overriding factors for any open source or closed software to be the successful one. Open source software remains a mile ahead regarding community supports. You may be heard the news of acquiring GitHub by Microsoft. Why they do that to get an open source software hub? It’s nothing but to get open source community support for the Microsoft app store and its software repo for competing with other software vendors like Google Play Store, Apple’s App Store, etc. Now come to the core point of community support for Debian vs Ubuntu. Both the distros are extremely popular with active community support. But Debian goes ahead of Ubuntu as it’s supported by a large community of volunteers. Moreover, the Debian community is more tech and technical oriented, and Ubuntu is more focusing on newbies and beginners. For a particular business or enterprise requirement, the Canonical is there to help you with a price tag. And on the other side, you have to rely on volunteers community support for Debian entirely. Using a Linux distro on the server depends on individual requirements. But in the case of Debian vs Ubuntu as server usages, I recommend you to use Debian if you wish to use it on the enterprise environment as Debian is more secure and stable. On the other hand, if you want all the latest software and use the server for personal purpose, use Ubuntu. Both the Linux distros are going neck to neck when it comes about Debian vs Ubuntu on a server. In a statistic, we can see that Ubuntu tops with a 37% market share and Debian runs on 31.4% of all the public Linux servers. You can run both the Linux distros on a server without interruptions, applying patches or updates for months. As Debian distro does not contain any proprietary blobs, so there might be some problem with drivers and firmware. That means Debian lacks some of the essential proprietary firmware by default, but the users can enable the repository and install it manually like other paid software. On the other hand, Ubuntu doesn’t care much whether it’s paid, free, open source or closed source, so it includes as many drivers and firmware as possible. Ubuntu also let you install and configure the necessary drivers and firmware automatically during installation or afterward. Debian is a community-driven open source Linux distribution, and the primary aim of it is to be robust, capable and most importantly free. On the other hand, Ubuntu is also free and open source like Debian, but it’s backed up and developed by a corporate company called Canonical. Both Debian and Ubuntu provide a comparable inbuilt security system and vulnerability patching schedule. From a security point of view, Debian follows a strict policy on respecting users policy. Debian does not come pre-packed with any access control system or firewall protection. Instead, it believes the capability of users to stay on top of the security aspect. Ubuntu comes preinstalled AppArmor and firewall enabled. Ubuntu is much more user-friendly for the beginners because the newbie doesn’t need to fight much to sort out security perspective and firewall configuration. According to the Linux counter project statistics, Debian runs on 16% of all the computing machines, and Ubuntu runs on 23% of all devices. 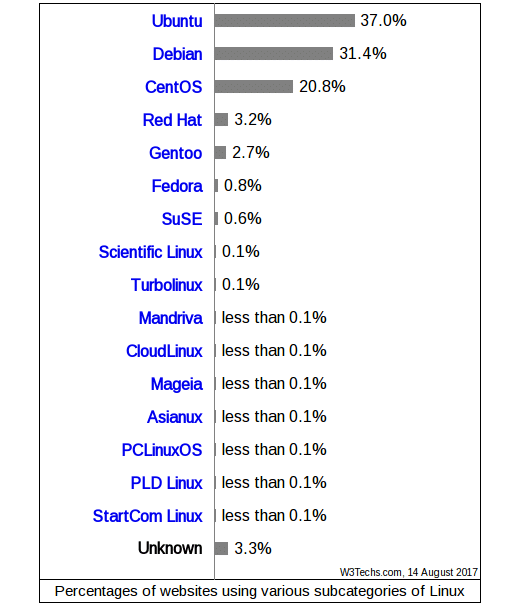 Thus makes the Debian as world’s second most used and Ubuntu as #1 most used Linux distro. Before going to get the best one, you have to settle yourself in a specific thought. First get the particular answer to the following queries; Expert or Beginners? Controlled or easy to use? Stability or Cutting edge features? Free or Proprietary? Generally humble but controlled or outspoken but democratic? All these thoughts help you to get the deciding factors and to come down to what’s essential for you. Whatever you choose, you may go hardly any wrong way because both the Linux distros are comparatively rock solid, secure and can fulfill all the demands and requirements of any users. Debian and Ubuntu both are two essential and dominant Linux distros with a set of different features and tools. Debian is more stable than Ubuntu because Ubuntu uses or adds more cutting-edge features and that leads to more bugs and crashes. And if we compare Debian vs Ubuntu on system performance, then clearly Debian gets the crown over Ubuntu. As Debian comes with a bare minimum feature and stable base, thus it demands less resource and runs smoothly on a wide range of devices including old and modern machines. In the case of Ubuntu, the added features and pre-packed customizations affect the overall performance. Ubuntu provides the latest features that demand more power. Ubuntu Linux is more suitable for modern computing devices. At last, I only can say that Debian and Ubuntu both are great Linux distros. Many users prefer to use Debian over Ubuntu and vice versa. Ubuntu is more for beginners and Debian is best for techies. I recommend you to install both and judge yourself which fulfills the requirements. Debian has live images that include drivers. Great place for a new user to start. Debian testing is also a rolling release. 1. there is no such thing as a “Debian testing snapshot release”. 2. you wrote: “Every six months, Debian releases a testing branch”. This is incorrect. Debian testing is released as Debian stable when it’s ready. 3. “Debian testing branch is not unstable instead it looks like using a regular point release. ” what do you mean with this? 5. Debian also has a graphical installer, not only the ncurses based installer. 6. You are mixing up “paid” software with “proprietary” software. You should look up what non-free vs free software really means. It’s not about “paid” vs “not paid”. It’s about the rights you get for that software. The term “paid software” is really not relevant in this article at all. You meant: you can always enable non-free software, but you have to do that manually/explicitly. E.g. non-free video card drivers. 7. I would never recommend to mix packages of Ubuntu and Debian. Just don’t. No one tested that or engineered the packages for that purpose. Don’t. 8. Debian comes as minimum as you want it. You can also select a lot of stuff (e.g. in the installer or later) that makes it not as minimum as you say. 9. You claim that Debian and Ubuntu are faster than Windows or Mac OS X. But based on what info do you make that claim? And for which situations? I don’t think you should make such general claims which have no evidence to support them in the article. 10. What manual configuration do you need for Debian then? In which situations? That is not really explained well. 12. Once the non-free stuff is enabled, you can install it like any other managed Debian package. It’s not at all like external software (“paid software”). I wouldn’t recommend installing such external software at all. The disto cannot take such software into account, so it will break at some point. 14. Strange wording “Ubuntu Linux is more suitable for modern computing devices.” One could read this as if Ubuntu is better suitable for modern computing devices than Debian. But that is nonsense of course. Last remark: I wrote all of the above from the top of my head, as a Debian user since 2001. I hope I didn’t make too many mistakes myself. Bang on Manuel. Although I haven’t kept up to date with all that’s happening, I do believe that the article has been written by a newbie to the Linux world. For folks who were around when the whole revolution started and I used to swear by Debian in the late 90s, I found this whole article useless. Your comments are much appreciated for somebody who understands how Debian has always worked and will hopefully continue to work. Right now, I am using Elementary after reading a lot of positive reviews and I have to admit, it has been a fantastic user experience installing it and using it for daily use. I no longer use the brilliant features etc. although I still had to go back to the Terminal to get my sound card forcefully detected on an old Latitude E6410. At 4 gigs RAM, you should see the performance of Elementary vs. a WinXP. I rarely login any more to Windows and I would highly recommend it. I was reluctant to try Mint with my earlier experience a few years ago, wherein I felt I had little control over what the OS installed and how it set things up. Also, there were issues wherein it did not detect older hardware and I couldn’t manage to put too much time debugging it. Again, to each his own, but it’s important that articles such as above point folks to the right essence of what Linux is all about. This article incorrectly refers to Debian and Ubuntu having rolling cycles, or rolling releases. Neither distro is rolling release, they are point release. What this means is, in the case of Ubuntu, every 6 months you must upgrade the entire OS to the next point release. If you don’t, you will eventually stop receiving updates for your system. Look at Arch and many of its derivatives for a rolling release model. You never have to upgrade to a new point release, and you will always be offered the latest packages. Thanks for your valuable comment and suggestion. I have corrected the mistake accordingly.